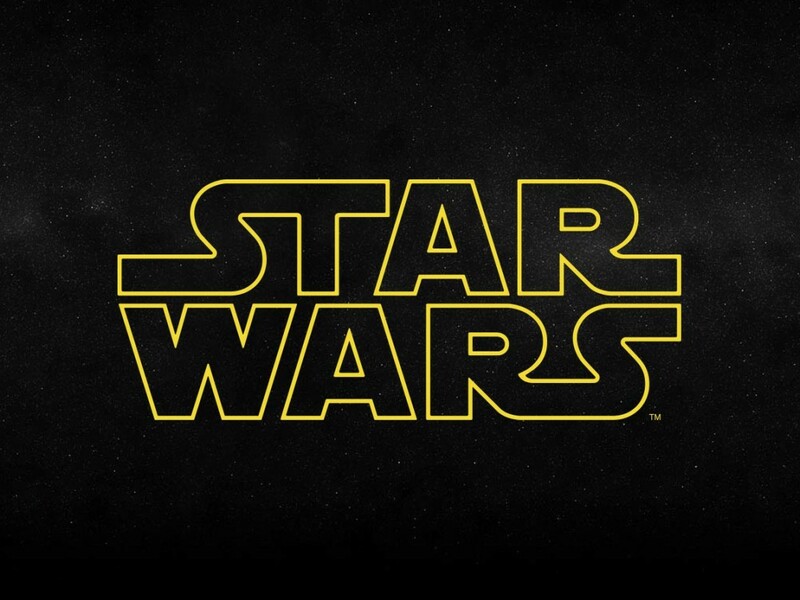 If you don’t know who I am, let me just explain that I am a professional Star Wars nerd. 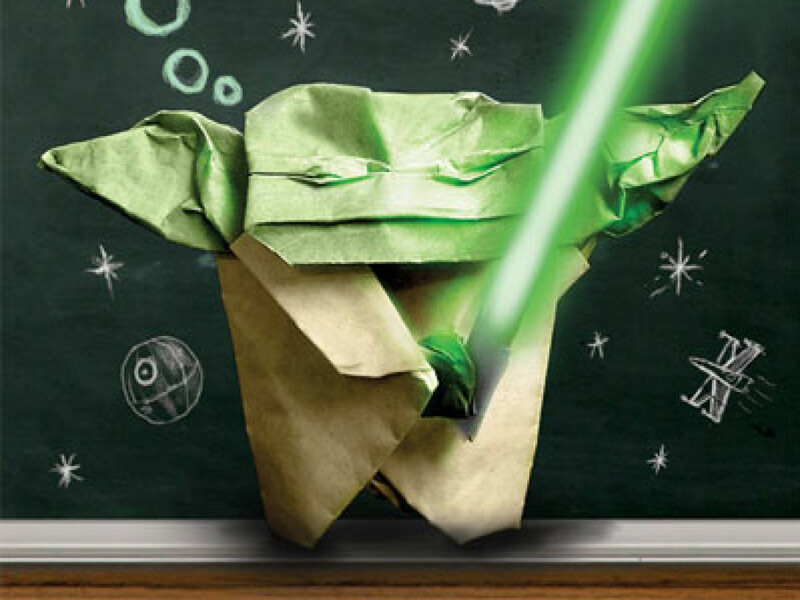 See, I took took several nerdy things – origami, doodling, a love of Star Wars and a painful history of middle school disasters – and put them together to came up with a book, The Strange Case of Origami Yoda. It’s about an earthbound sixth grader who makes an Origami Yoda and brings it to school to (hopefully) avert some of those disasters. So, not only is watching The Clone Wars vitally important to me, so is poring over a book like: The Clone Wars Encyclopedia from DK. That’s from the old-school Star Wars Visual Dictionary from the late 90s. The newer Character Encyclopedia uses the same photo but has dispensed with that label. Both books are part of a shelf of DK Star Wars books I keep handy for both reference and inspiration. My own little holocron. 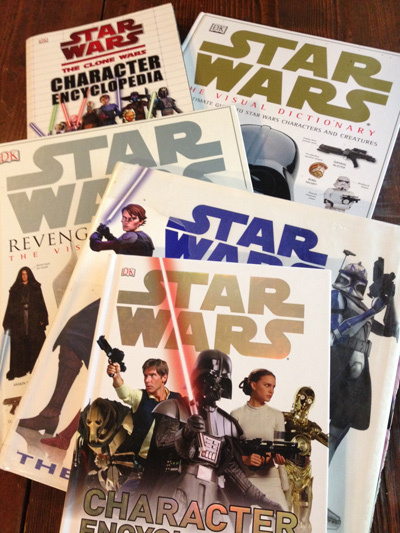 At one point, while working on my upcoming activity book, I was hauling around both The Clone Wars Encyclopedia and the standard Star Wars Character Encyclopedia in my backpack. It paid off. Being more familiar with Episodes 4, 5 and 6, my mind often jumps to Tauntauns, Wampas and the Rancor when I’m thinking of Star Wars monsters. 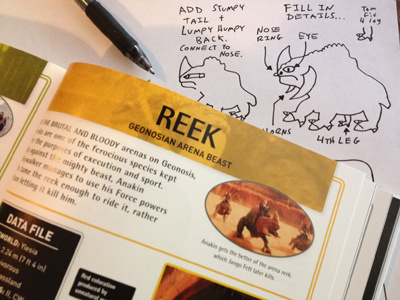 The DK books reminded me of the Reek and I had a great time learning to draw it and teaching kids how to draw it. Looking at the Star Wars Character Encyclopedia — which boasts “200+ heroes, villains, and many more – I wonder if I ever need stop my series. If I ever run out of ideas, I can always open one of these books at random and then write, say, The Adventures of Origami Moff Jerjerrod. The upshot of all this is that I take Star Wars pretty seriously and I like that the DK writers and editors do, too. I’m guessing/hoping some of them are professional Star Wars nerds just like me. 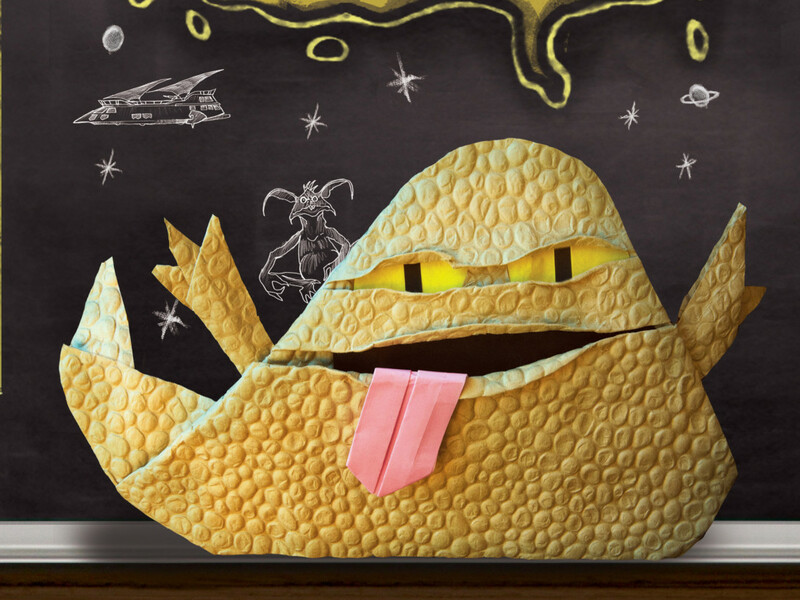 Keep an eye out for my upcoming activity book Art2-D2’s Guide to Folding and Doodling.